The Trump Tower Hotel is a Condo Hotel. While each unit is individually owned, many owners opt to keep their unit in the Trump Hotel rental system. 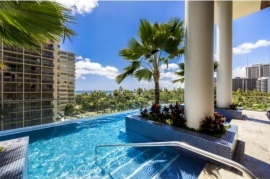 This option allows owners to earn an income from the hotel, while still being able to utilize their unit for their vacation needs. 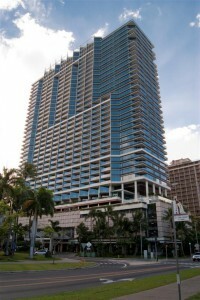 The building is located one block from Waikiki Beach and is composed of 469 units on 38 floors. Half of the units face Fort DeRussy Park and have ocean/sunset views. The rest have ocean and/or city views. A typical floor plan has a mix of twenty-one, studio, one bedroom and two bedroom units. 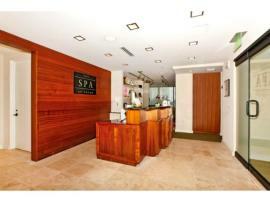 Units are Fee Simple, fully furnished with central AC and vary between 350 to 2200 square feet in size. The building was built in 2009. 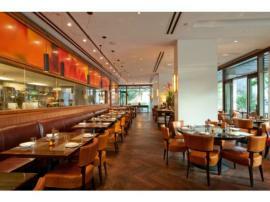 BLT steak House is on the ground floor. 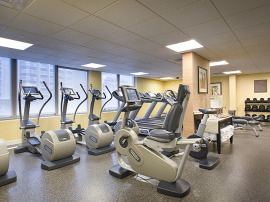 Amenities include a Concierge, Valet, pool, whirlpool, exercise room and recreation area. 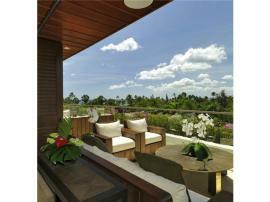 Units sell in the $450,000 to $4,500,000 price range.